A spokesman for Mexican President Enrique Peña Nieto told Reuters that he and Donald Trump did discuss who would pay for the wall the GOP presidential nominee has promised to build if elected. The spokesman said Nieto told Trump that Mexico would not pay for it. This runs counter to what Trump said in a news conference following the meeting, in which he claimed they never discussed who would pay for the supposed wall. Nieto himself said the same thing in a follow-up tweet. 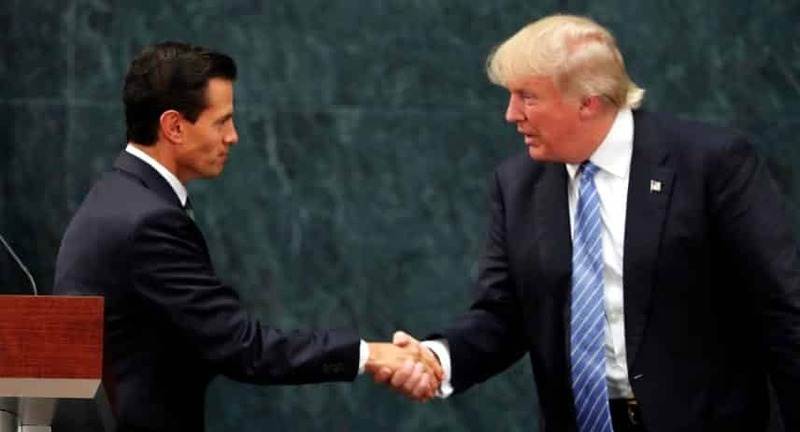 “At the beginning of the conversation with Donald Trump I made it clear that Mexico will not pay for the wall,” Nieto claimed. This entry was posted on September 1st 2016 at 7:27am/07:27 and is filed under Elections, Live News Column 2, Politics. You can follow any responses to this entry through the RSS 2.0 feed.